Since I'm the host this week - I had thoughts on what topic to discuss. I've been tinkering on some but finally landed on one - Online Friendships! This sprung out of watching my favorite TV series FRIENDS! I would like to ask our lovely members on their opinions and views on Online Friendships! Do you believe that online friendship can turn into real one? Or do they just keep us company online? Did the internet somehow bring you together? How? Why do you think so? 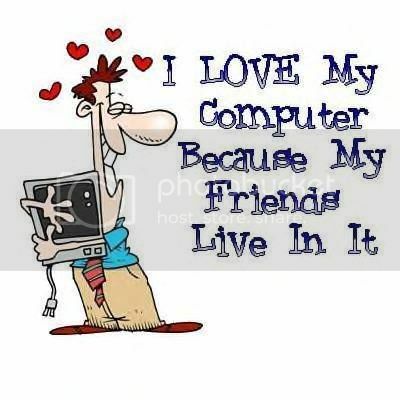 In the years that I have been actively online - I have found friends online who later became my good good real friends. I have friends who've met their significant others online - amazing isn't it? I hope you can share your thoughts and insights on Online Friendships!